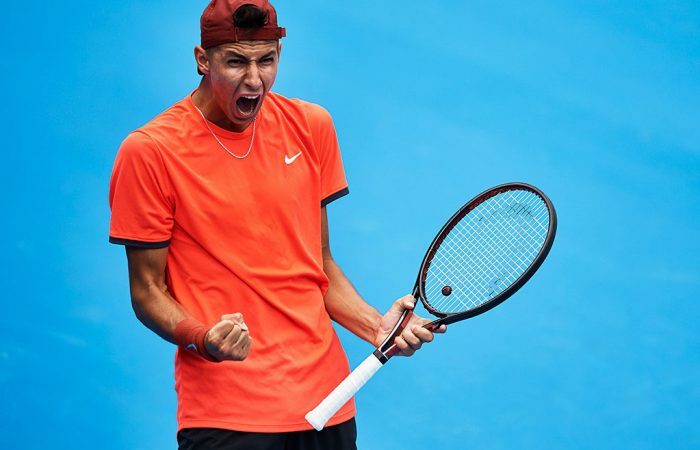 With a talent that’s matched by a sizeable work ethic, the fast-rising Alexei Popyrin already shares much in common with legends he aims to emulate. Not many rising stars on the ATP Tour could claim to have shared a court with Grand Slam superstar Serena Williams; Alexei Popyrin, though, has not only trained with the prolific champion but also thrived in her company. 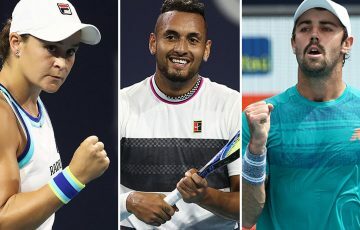 “Just to hit with a legend, especially Serena, it really gave me a great, great experience,” said the 19-year-old when quizzed during the Australian summer about the time he spent with Serena at the Mouratoglou Tennis Academy, where Popyrin has also had opportunities to learn from the likes of Novak Djokovic, Dominic Thiem, Stefanos Tsitsipas and David Goffin. In many ways, Popyrin appears at home among such elite players – and not just for the fact that his power-packed game, built around a huge serve and forehand, draws inevitable comparisons to his long-time hero Juan Martin del Potro. In 2017, a 17-year-old Popyrin joined a group of just five Australian men – including Ken Rosewall, Roy Emerson, John Newcombe and Phil Dent – as the winner of the French Open boys’ title. And if recent progress is a measure, Popyrin is almost certain to soon emulate those legends at a higher level. A breakthrough Challenger title in Jinan, China, last August provided the foundation for further progress; Popyrin subsequently qualified for tournaments in Stockholm and Basel. Victory over countryman Matt Ebden in the first round of the latter provided Popyrin’s first main draw match win on the ATP Tour. It was the recent Australian summer, though, that proved most headline-grabbing. Capitalising on a wildcard entry into his home Grand Slam, Popyrin stunned Mischa Zverev and 2018 French Open finalist Dominic Thiem, before exiting to eventual semifinalist Lucas Pouille in a thrilling five-set battle. Alongside countryman Blake Ellis, he also progressed to the third round in doubles. 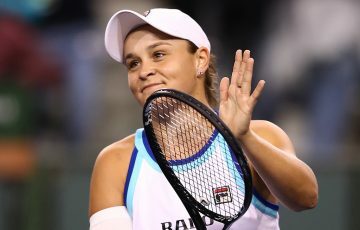 “The Aussie summer was a dream, especially the AO. 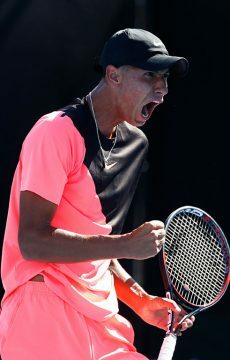 Going in, I never expected to play the way I did in both singles and doubles,” Popyrin told Australian Tennis Magazine of that performance, which paved the way for his Davis Cup debut for Australia. You always remember your first Davis Cup win. 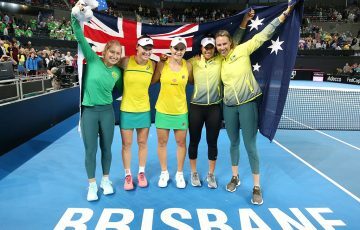 It’s clear that lessons gleaned from some influential figures – Serena’s advice, said Popyrin, was “to stay focused (and) keep concentrated during this period” – have been valuable. So too has the commitment that Popyrin has maintained since winning the French Open boys’ title. Those developments are helped by a whatever-it-takes attitude, which was arguably best demonstrated through Popyrin’s dedication on the ATP Challenger Tour last season. 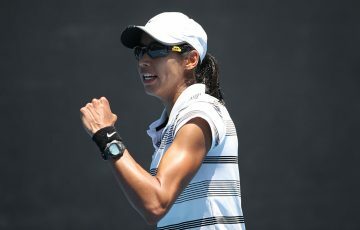 With his travels taking him to France, Italy, Tunisia, Poland, Kazakhstan, China, South Korea and America – among other nations – Popyrin qualified for five events, including at Jinan, where he won eight matches before lifting the trophy. As he gains experience on the ATP Tour, Popyrin is also benefitting from a work ethic that’s always come naturally. 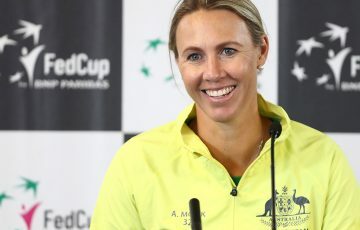 The oldest son of Russian-born parents Alex and Elena, Popyrin was raised in Sydney, where he first experienced tennis at the Kim Warwick Tennis Academy as a five-year-old. A two-year stint in Dubai was beneficial for both training purposes and its proximity to Europe, Popyrin also serving as a ballboy at the ATP tournament in the city. In 2010, he relocated to Spain (first Alicante, then Marbella) to further his claycourt development. Those improvements have not only eventuated, but quickly elevated Popyrin into the game’s upper echelons. At a career-high world No.119 at the timing of writing, Popyrin enters the claycourt season with the chance to add to his quickly accumulating milestones. But while the top 100 is most tantalising within reach, the teenager maintains a level-headed approach to his progress. 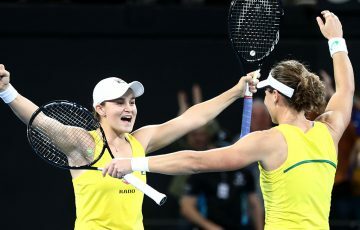 This article appears in the April/May 2019 issue of Australian Tennis Magazine.